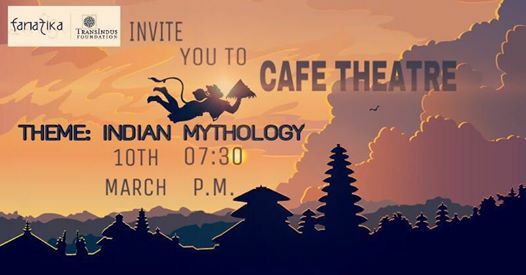 Fanatika back again with Café Theatre.. To read with them tales from Indian Mythology. Age/Gender/Genre/Language.. no bar…!!! Each reader gets up to 5 minutes to read. So join them for Coffee and Conversations..